It is not so long since the India-US nuclear deal ushered in a new era in relations between the two countries. The edginess that had so often intruded seemed to have been definitively set aside, to be replaced by a genuine spirit of goodwill and cooperation. The nuclear issue had been the most prominent among the differences between the two countries, a seemingly impermeable barrier between them. The USA felt obliged to impose sanctions on many types of nuclear-related transactions between the two countries, which of course placed a limitation on their mutual confidence and readiness to do any sort of business together. The nuclear deal was expected to change that. Finger-pointing and recrimination were to be replaced by an active search for cooperative endeavour. Lifting of sanctions would open a vast new field for commercial exchanges in hi-tech products, especially for the nuclear power industry. And the important driver for this newly-affirmed friendship was the strategic convergence that the leaders of the two countries discerned and were keen to promote. These were the two largest democracies in the world, natural partners, with a shared strategic vision that tended to set them apart from the autocracies proliferating elsewhere on the globe. With such large and expansive prospects, the deal represented a basic change of orientation with far-reaching implications for the principals and also for the emerging global architecture. It generated real expectation and was rightly regarded as the most significant foreign policy initiative of the first UPA government. It did not work quite as had been wished for. The euphoria of the agreement began to fade not long after it was signed, as the difficulties of putting it into implementation became more evident. Numerous matters of detail had to be settled before concrete attempts could be made to negotiate contracts for the supply of nuclear equipment, even though the bilateral deal had opened the doors and there were plenty of suppliers abroad and potential users in India to encourage expectations of early progress. 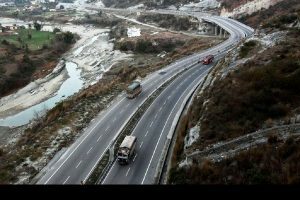 Moreover, from the point of view of the interested parties a major unwelcome roadblock unexpectedly materialized when India&’s Parliament laid down certain conditions for contracts of the type envisaged under the freshly negotiated deal. Drawing lessons from the tragedy of Bhopal when India was woefully unprepared to obtain adequate compensation for the colossal losses inflicted by a foreign multinational, Parliament was determined that such a situation should never recur. Hence conditions were laid down by the legislators to ensure that the suppliers should remain liable for the proper functioning of the equipment they supplied for an extended period of time, to ensure the protection of all those who might be affected by a malfunction. Potential suppliers have found it difficult to meet the required conditions, and as a result what was expected to be an immediate benefit from the nuclear deal has not yet materialized and a major building block of the refreshed India-US relationship is yet to take proper shape. Despite such issues, the ties between the two countries have maintained an upward trend over the last several years. Among other things, the USA has become a significant supplier of defence equipment: only a few days ago the IAF received a boost with the induction of another large transport aircraft from a US supplier. There have been other comparable transactions and more can be expected. Such deals require high-level clearance in the two capitals and bespeak a good deal of mutual confidence. But if a new window has been opened for military supplies and for other government-to-government transactions, new problems have cropped up elsewhere. These have been prominently in the public eye and have tended to generate a certain amount of acrimony. For India the matter of visas to permit Indian professionals in the IT field to work and live in the USA has become a big issue. Progressive tightening of the rules has meant that there is considerable uncertainty among Indian managers about the future, leading to concerns that there could be a real setback to what has become the most prominent Indian commercial activity in the USA. Hence the grumbling in India is on the increase and repeated efforts have been made to persuade the USA to be more responsive to India&’s needs, to little avail. The USA has its own grievances. Its corporations and trading companies complain about the difficulties of doing business in India. They feel that India tends to discriminate against them, though India, no less than the USA does not accept that its rules, which apply to all comers, are drawn up to restrain the other. Pharmaceutical firms are especially vocal in seeking easier trading conditions. In recent years, India has been active in producing and disseminating generic versions of some life-saving drugs, notably those used in the fight against AIDS in Third World countries where affected populations cannot afford the high cost of drugs manufactured in the West. To an extent, friction on such issues can be regarded as unavoidable owing to the vast increase in commercial contact. Annual trade is now in the region of $100 billion, which means that many more players are now in the field with specific interests that need to be taken into account. The two governments are well aware of these realities and have done much to address them, witness the proliferating bilateral groups of officials and experts who meet constantly to address such problems ~ and that in itself is an innovation, if one contrasts the very limited official contact between New Delhi and Washington of past days. Furthermore, high-level visits have also taken place to maintain momentum, most recently that of Vice-President Biden and not long before that a trio of top Indian economic managers visited the USA. These exchanges have served a purpose and there have been some useful responses to the current difficulties but the shadows have not yet been dispelled. Nor can economic and managerial issues be seen in isolation from others, for lack of harmony in some matters can affect mutual confidence in others, including the strategic convergence that they have achieved on several global issues. They both continue to need each other for mutual economic advantage and for mutual support in a difficult phase of international and regional developments ~ one has only to look at the situation in Afghanistan to see how far their interests intersect. It is thus necessary to strengthen the effort to strengthen and restore bilateral cooperation. 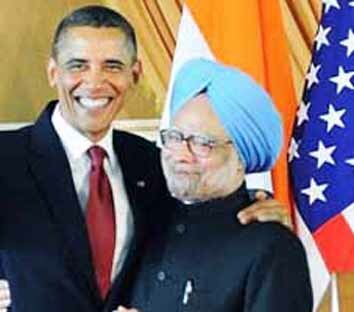 Fortunately, Prime Minister Manmohan Singh is expected to visit the USA before long. This will be an opportunity for ironing out the wrinkles that have appeared recently and ensuring that India-US ties remain dynamic and globally important. It was Mr Singh who reshaped bilateral ties by steering through the nuclear deal and he is best placed to give needed momentum to the relationship.